Engine hours are an estimate, the owner says they are in fact probably under 2000 Hrs as of June 2018. Long fin with skeg hung rudder. Predictwind weather routing / email. Life raft requires service 30/10/14. Completed & launched in 2005 this safe, solid, steel, center cockpit, blue water cruiser has beautiful warm wood interior. Topsides were re painted Jan 2014. New Genoa and inverter charger 2018. Currently on hardstanding ( june 2018 ) she has been anti fouled and anodes replaced ready to be launched. 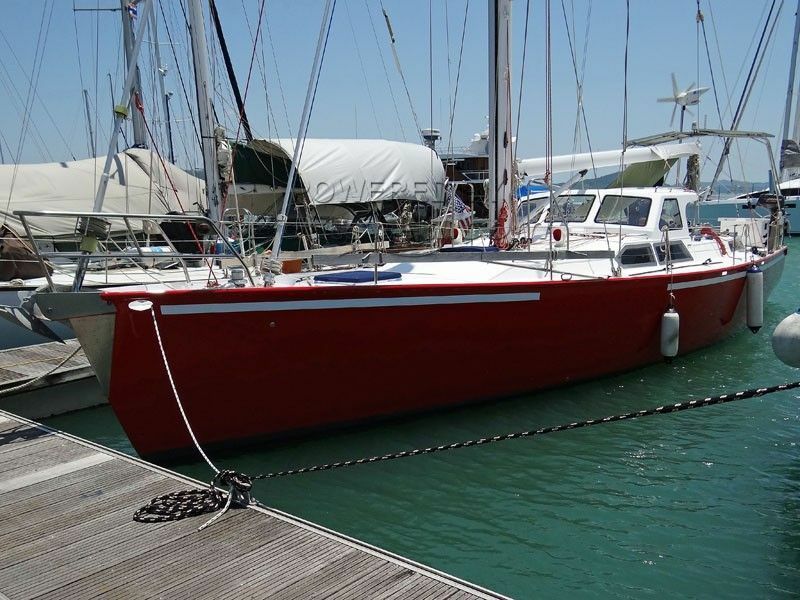 This Radford 450 Cutter has been personally photographed and viewed by Alan of Boatshed Phuket. Click here for contact details.